Perfectace Beautiful Hands Cream has been developed with advanced RADICARE technology to repair and counteract premature ageing. It helps keep hands soft & nourished to bestow a youthful appearance upon your hands. Hands are one of the first things people see. They are constantly visible to others. Ageing hands can be a huge indication of age itself. This is why it is important to take care of hands as well as the face – as both of these depict age. Hydration and skin nourishment are key to maintaining beautiful hands. Nourishment allows skin to be more supple, soft and elastic, thus helping prevent wrinkles. Hydration allows skin to maintain normal moisture balance, helping to keep dry skin at bay. Dry skin can also age the appearance of skin. It can cause skin to thin and appearcrepeyas well as cause redness, irritation and inflammation. Minimising such conditions will also help result in beautiful hands you will want to show-off. Oxidative Stress also plays a part in skin’shealth. Environmental factors such as pollution or UV radiation are unescapable. These factors cause oxidative stress which damages skin cells and speed up skin ageing. Antioxidants help prevent oxidative stress, therefore, incorporating a powerful antioxidant to your skin care routine can work wonders in the pursuit of age-defying hands. 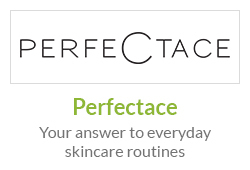 What is Perfectace Beautiful Hands Cream? 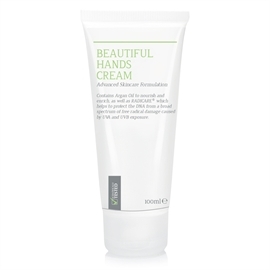 Perfectace Beautiful Hands Cream is a topical solution to help prevent premature skin ageing specifically for the hands. It does this through its scientifically proven active ingredient RADICARE®. RADICARE® is a powerful topical antioxidant which inhibits the development of free radicals and actively combats those which already exist. The skin is uniquely protected against harmful environmental influences and supporting the skin‘s own antioxidative defence system. 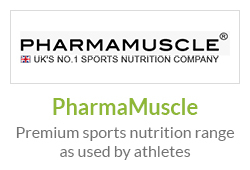 The natural radical scavenger rosmarinic acid from lemon balm (Melissa officinalis) and the flavonoid rutin, together with the valuable trace elements manganese, zinc and selenium from barley, form a highly potent combination to combat a wide range of reactive oxygen species (ROS). 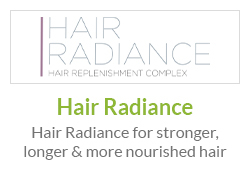 Even in low doses, RADICARE® has been scientifically shown to counteract premature skin ageing. There are many contributing factors to premature aging including environmental pollution, poor diet, smoking, excessive alcohol consumption, stress, sedentary lifestyle and free radical cell damage (oxidative stress) to name a few. Oxidative stress arises when concentrations of reactive oxygen species (ROS) and antioxidants (AOX) are not in balance. For instance, when the organism is exposed to excessive concentrations of ROS or when the antioxidative defence system is weakened. Antioxidants form the body’s own defence system; they are molecules and enzymes which neutralise the potentially dangerous ROS. Free radicals are single cells in the body that wreak havoc on paired healthy cells causing them to deteriorate. Free radical cell damage can cause chronic illness and disease as well as premature ageing. Antioxidants are natural free radical fighters. 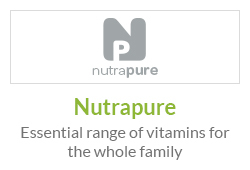 They enter the body with the intent to prevent or minimise damage caused by free radical cells. They do this by pairing themselves with the single cell to make it a pair so it can no longer damage other healthy cells. By minimising or preventing the threat, antioxidants effectively help promote health whilst slowing down the ageing process. Oxidative stress plays an important role in the ageing process. The key to longevity is to avoid or guard against oxidative stress in general, but is particularly important for the longevity of the skin. 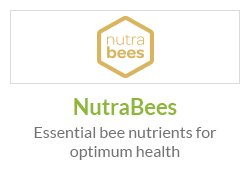 Important anti-ageing strategies include reducing oxidative stress or reinforcing the body’s own defence system, both of which need to be introduced as early as possible because the body’s own defence system becomes constantly weaker with age. Oxidative stress is damaging to the skin. But the skin is highly vulnerable to oxidative stress as it is continually exposed to the ROS which derive from the environment or within the skin. The skin is continually exposed to environmental toxins for example, ozone. Ions or UV radiation are also sources of ROS for the skin. Excessive ROS from these sources can quickly overload antioxidants in the tissue or other systems which have an antioxidative effect. The uninhibited distribution of ROS speeds up skin ageing. The results range from the development of wrinkles, photo-aging, inflammatory processes and damage to the cornification process, to name a few. Rosmanaric Acid: Rosmarinic acid (Melissa officinalis) from lemon balm is a derivative of hydroxycinnamic acid, which offers a very high antioxidative capacity. Rutin: The flavonoid rutin in a watersoluble form (rutin sulphate) protects skin cells from oxidative stress and synergistically strengthens the antioxidative activity of the rosmarinic acid. Barley Extract: Barley extract is rich in the trace elements selenium, zinc and manganese. These are components of many antioxidative enzymes and as such neutralise reactive oxygen species. Rosmarinic acid from lemon balm is an extremely efficient radical scavenger. The flavonoid rutin synergistically supports the effect of the rosmarinic acid. The trace elements Mn, Zn and Se from barley extract support the enzymatic neutralisation of ROS (reactive oxygen species). Argan oil is often referred to as ‘Liquid Gold’ because its benefits are so great for both skin and hair. 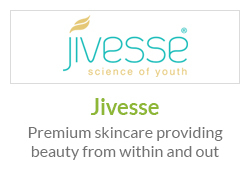 It contains significantly high levels of vitamin E and fatty acids which help to intensively hydrate and soften skin. It is also non-greasy, non-irritating and absorbs quickly making it an ideal natural moisturiser. Argan Oil is also a natural, effective antioxidant which helps reduce the visibility of wrinkles by restoring skin’s elasticity leaving skin feeling plumper and softer. This amazing oil has been shown to reduce the depth and severity of wrinkles, as well as to fade age spots by restoring skin’s elasticity and increasing the speed of healthy skin cells regeneration. Antioxidants in Argan oil help to protect skin from damage caused by UV radiation. Applying Argan oil to UV damaged skin can also help fade sun spots and heal skin that has been over-exposed to UV by encouraging the regeneration of healthy cells. The antioxidative capability of this oil, coupled with the nutritional content of vitamin E and fatty acids, help support the effects of Radicare in the Perfectace Beautiful Hands Cream formulation, to ensure your hands continue to ‘defy age’. Method / Implementation: Human jurkat cells were pre-treated with 1 %, 2 % or 5 % RADICARE® for 45 minutes and then exposed to UV radiation. Measurement of the concentrations of H2O2, O2– and lipid peroxides after 20 minutes using flow cytometry. Result: RADICARE® significantly prevents the formation of the hyperoxidant O2–. Other reactive oxygen species such as H2O2, and lipid peroxides are also unable to develop (results not shown). Method / Implementation: Measurement of the haemolysis (breakdown of red blood cells) in the presence of chlorpromazine (CP) and RADICARE®. CP forms free radicals, this leads to membrane lipidoxidation and ultimately to the lysing of erythrocytes. Photometric measurement of the haemoglobin released and calculation of the IC 50. The formation of radicals is further increased by means of UV radiation. References: 0.25 % Vitamin E, 0.5 % vitamin C.
Result: RADICARE® acts as a free radical scavenger effectively preventing erythrocyte haemolysis. 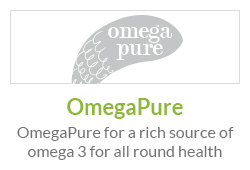 Thus, the active ingredient prevents oxidative damage to cells and possesses outstanding cell protecting properties. Method / Implementation: Application of a cream with 5 % RADICARE® or placebo (0 % RADICARE®) 0, 2, 4 and 6 hours after UV irradiation of a dorsal area; Stratum corneum stripping after 24 hours and measurement of the peroxide level using a fluorescent probe. Result: RADICARE® reduces the formation of peroxides (curative) and decreases these to a level which is lower than before the exposure to radiation (preventive). This does actually work. I have my hands in and out of water. I try to use gloves but its not always convenient. Added to that is the current cold weather which seems to dry skin more and your skin starts flaking and cracking and can be quite sore. 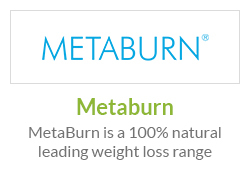 This does work and does not require a huge dollop - a small amount goes a long way. This is the best product in my opinion for dry hands. I had used different products before, but no one works like this! That is no doubts that is the best! Great hand cream for the cold weather. My hands started to get really dry and cracking. A few applications of this cleared it right up. No smell and absorbs quickly into the skin which is perfect for me as I hate the feeling of cream on my hands. This is my girlfriends hand cream but I used it as she said my hands were getting rough! To be fair, the cream has helped as my hands are returning to feeling smooth not rough. Shes happy, so I am too. My mom always told me to take care of my hands because they are the first thing to give your age away so I gave this cream a try for a month and my hands look and feel so smooth and soft. I am extremely happy with this cream. Its worth a try.